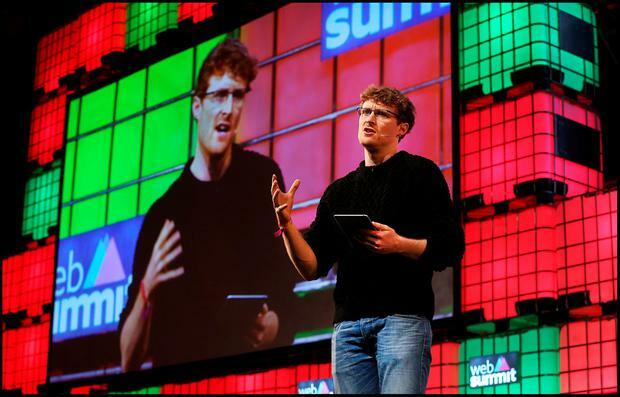 Paddy Cosgrave Co Founder and CEO speaking at the Web Summit at the RDS. Pic Steve Humphreys 4th November 2015. Paddy Cosgrave snubbed an invitation to appear on 'The Late Late Show' despite broadcaster Ryan Tubridy making a conciliatory pilgrimage to the RDS yesterday afternoon. Mr Cosgrave, who was expected to appear on RTE's flagship programme this evening, will attend a Web Summit dinner for tech company founders instead, a spokesman for the Web Summit said. RTÉ had issued two separate press releases boasting about Mr Cosgrave's appearance on the show. "Cosgrave will give his definitive account of his ongoing dispute with the Government," it read. Rumours that Mr Cosgrave was considering pulling out of the interview began to circulate on Wednesday but RTÉ dismissed them. Early on Thursday, RTÉ re-issued a statement saying Mr Cosgrave would appear on the programme. 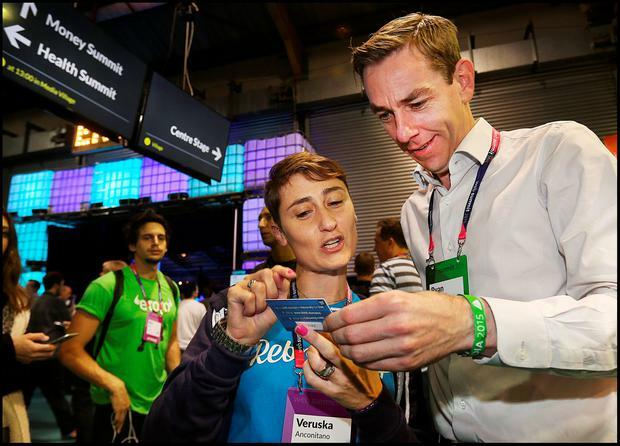 Tubridy ventured to the RDS on Thursday but did not meet the Web Summit founder, as Mr Cosgrave was busy liaising with the Portuguese deputy prime minister. This morning on his RTE Radio show, Tubridy said: "Paddy Cosgrave was due to be on the Late Late Show and in fairness he did accept the invitation and then declined the invitation which is his prerogative entirely. The show of course goes on and we wish him well in all his endeavours." "We won’t be able to talk about [the Web Summit] tonight, we will be talking about something else, which I’m looking forward to as well." Last night, an RTÉ spokesperson said: "We are disappointed that he has now decided not to appear, however, the spot remains open should he change his mind." RTÉ will now have to find a replacement guest to join C4's 'Gogglebox' stars Steph and Dom.